A recent archeological finding in Russia has shed some more light on the historic use of marijuana among the nomadic Scythian people. Two artifacts that were confirmed as bongs and some smaller objects, all composed of solid gold, were found in a burial site in Southern Russian. The bongs were found with a thick residue and were used to smoke a powerful combination of cannabis and opium. They were used by the Scythians who ruled in large areas of Eurasia for a period of over 1,000 years. The bongs were found to be approximately 2,400 years old and were very detailed in their designs, featuring pictorial representations of animals and people. They were found in a large grave mound in Southern Russia in the Caucasus Mountains, one of the regions where Scythians lived between 900 BC and 400 AD. The bongs were possibly used during ceremonies and were found in a chamber filled with 7 pounds of other gold artifacts including bracelets and neck and finger rings. Ancient Greek writer Herodotus described how Scythians used cannabis in their ceremonial practices, and the finding certainly backs up his claims. He once wrote, “Scythians used a plant to produce smoke that no Grecian vapour-bath can surpass…” Antonn Gass and Andrei Belinski are two historians from the Prussian Cultural Heritage Foundation who believed that the bongs were “beyond doubt” used to smoke both opium and cannabis at the same time. They may have also been used to brew the mixture together as well. The finding is considered to be one of the best ever by many archeologists. Gass mentioned, “these are among the finest objects that we know from the region.” The bongs were not revealed to the public until the group had fully searched the burial mound to check for other possibly more valuable artifacts. Each bong tells a different story with its pictures. One bong shows an older warrior slaying younger warriors and may be a description of the wars that the Scythians fought with neighboring Persia. Another bong depicts mythological creatures including a stag and griffons attacking a horse. The Scythian people were known to be fearsome warriors, and they were one of the first groups to master mounted warfare. However, they were not the first group to use cannabis, as other evidence has found that it was cultivated as long ago as 8,000 BC or even earlier. Agriculture is thought to have been first developed around 10,000 BC. The first church dedicated to worshiping the social aspect of marijuana use has been launched in Indiana known officially as, “The First Church of Cannabis”. Bill Levin, the church’s founder, insists that the church is not dedicated to worshiping marijuana itself, but the interpersonal connections that are created when the drug is used. Levin said that the church does not distribute marijuana, however it allows members of the church to smoke inside the location. The church currently does not have a building but is raising funds to open one in the near future. The First Church of Cannabis was created on March 26 after the controversial Religious Freedom Restoration Act was passed in Indiana. Levin recently celebrated the church’s approval by the IRS for 501c3 status. The status designates the church as a non-profit organization with the same tax status that traditional churches and places of worship receive. Although the recreational and medical use of marijuana in the state of Indiana is not legal, the appreciation of the drug is. Levin does not believe that he will get into trouble because he is not selling the drug. He recently set up a Go Fund Me page which has received over $15,000 in donations from around the world. He has also received numerous donations from local donors and marijuana enthusiasts. Levin said that he founded to church in order to test the limits of the Religious Freedom Restoration Act, the same act that triggered protests from gay rights groups because of the fear that it would allow businesses to discrimination against homosexuals. The first service is planned on July 1st, 2015 once the law goes into effect at a location that has not yet been announced. 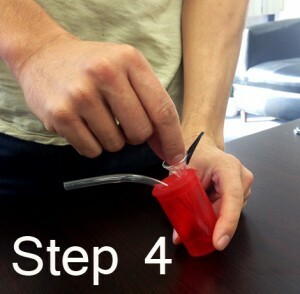 Carefully make two airtight holes in the top lid of the dispensary container no wider than the diameter of the glass bowl stem and rubber tube. 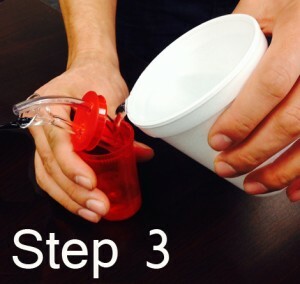 After the glass bowl and rubber tube have been inserted in the dispensary container, carefully pour water into the dispensary container, no higher than 2-3 inches. 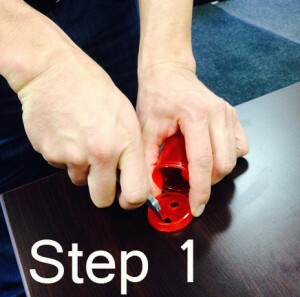 Close the lid of the container and put a small amount of finely ground medication into the glass bowl. 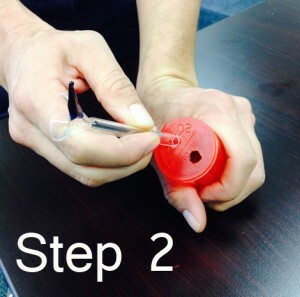 Again, make sure that the rubber mouthpiece is only slightly inserted into the top of the container, but allow the bowl’s stem to touch the bottom of the container. Slowly light the bowl of medication while carefully inhaling and enjoy! So, you’ve managed to grow your own weed, congratulations! You’ve been growing your plant for several weeks now, and you’re anxious to clip what look like decent buds, but how do you really know your plant is ready for harvest? Well, no worries. All it requires is careful observation. Here are two basic ways of determining the optimum time to harvest marijuana. The easiest way to determine whether your plant is ready to harvest is to simply look at the plant. In particular, you want to look at the white hairs, or pistils, that cover the plants buds. As the plant matures and the flowering period comes to an end, the white hairs which initially stick out straight begin to darken and curl. You don’t want to start harvesting until more than half the hairs have darkened from white to amber in color. Buds will have their highest level of THC when between 50% -70% of the pistils have darkened. Harvest at this time for more of a psychedelic head high. You can still harvest your plant when 70%-90% of the pistils have darkened. As your plant matures further, THC breaks down and oxidizes from exposure to air. As this happens the plants chemistry changes, making for a more calming, sleepy, body high. For a more accurate method of determining the ideal time to harvest, you will need to look at trichomes. In particular, you’ll be looking at the color and clarity of those trichomes. Trichomes are tiny, glandular, outgrowth on the leaves and buds of your plant. They often have stalks and a bulbous head, looking similar to a mushroom. The sticky resinous coating you’ll see on the trichomes is where the THC and other psychoactive components are stored. To get a good look at them you will need to invest in a Jeweler’s loupe/magnifying glass of 30x-60x. Take a close look at the trichomes with your magnifying glass. Clear colorless trichomes are an indication that your bud is not quite ready yet. When your trichomes are more opaque or milky in appearance then you should start to get excited. But don’t harvest until most of the trichomes are milky. This is when THC is at its peak. For the most potent buds, with the most psychoactive effects, harvest when most of the trichomes are cloudy. Eventually the trichomes will turn amber or gold in color. Some strains will even turn purple or red. If you Harvest when most trichomes have changed from milky white, to one of the colors I have just mentioned, you will get more of narcotic, stoney, body high. However, your plant has past its ideal harvesting period when more than 75% of your trichomes have darkened. To Vape Or Not To Vape? Is Vaping Good Or Bad For Your Health? Whether you have been prescribed medical marijuana, use it religiously, or blaze for recreational purposes, we have all been hit with the burning question (pun intended), is it better to smoke marijuana or vaporize it? Although there are many forms of ingesting the medicine such as eating medical marijuana “edibles”, for those who want to avoid eating extra food to get their marijuana fix, inhalation is the preferred method. Smoking marijuana has always been the norm by conventional standards both for recreational and medicinal purposes. With the latest glance at the daily news, people see images of their favorite celebrity or in some cases politician, smoking a “blunt” on stage or have been caught blazing a “joint” in a picture from their college years. In the last decade however, vaporizing devices have inundated the market and have shifted the culture into being more conscientious about their cardio vascular health by providing safer alternatives to marijuana use. Vaporizers come in different shapes and sizes, some of which you can put on your coffee table and others you can carry in your pocket on your way to the movie theater. Numerous methods of vaporizing are available on the market today, ranging in price from $20-$300 depending on caliber of the device and the quality of vapor extracted from the herb. Although price may be an issue to someone with a low budget, the vaporizing process cuts out up to 95% of smoke toxins from the mist that is inhaled, which can prevent lung harm and potential risk for disease in your later years.Not only are a majority of harmful toxins and chemicals excluded, but 95% of the THC is absorbed in the first few seconds compared to minutes needed to feel the effects of smoked marijuana. The way vaporizers work is that they only get the cannabis hot enough to release the most important aspects of the plant as vapors. Marijuana begins to combust at about 392 degrees Fahrenheit, where as in most vaporizers, the ideal sweet spot for vaporization occurs at 338 degrees, right below smoke temperature. Users tend to “sip” the vapor through their particular device of choice, rather than “smoke” the medicine. Smoking is the more prevalent way that marijuana is ingested. Marijuana that is smoked is usually done so by using rolling papers, blunt wraps, pipes, water pipes, or concentrate pipes. Price ranges for most smoking devices can range in a few cents for single joint paper to a few hundred dollars for high end pipes. Most people have the false impression that holding in marijuana smoke will somehow make you feel “higher”. Research has shown that this is in fact not the case, and that users can get just as high by taking “shallow puffs” without jeopardizing the harsh feeling on their lungs.Smoking anything will eventually if not immediately cause irritation of the lungs which according to most medical marijuana doctors, can be a cause of a more serious lung conditions later on in life. The major difference between smoking marijuana and vaporizing, is that smoke contains substances other than beneficial ones found in the plant, where as vaporizing reduces these substances drastically. Studies have shown that there are no known risks in the marijuana plant that pose a risk to human health; however, smoking the herb can lead to possible respiratory conditions later in life from the continual irritation of the lung tissue. Step 1 (Preparation): Before starting this sequence, it is very important that you take proper precautions, have the proper supplies and the a decent preparation area. 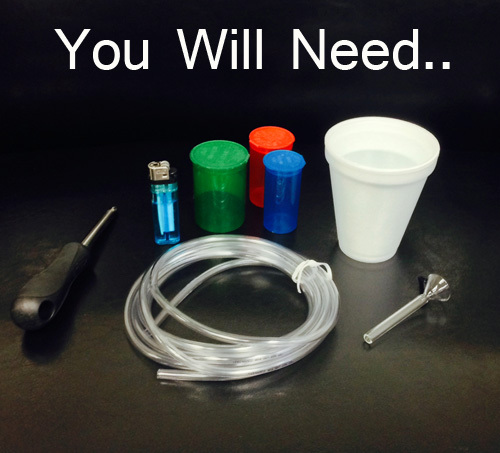 You will need the following supplies: 1 ounce of super dry marijuana, 1 gallon of high proof alcohol solvent (Everclear works best), medium sized Pyrex mixing bowl, large wooden spoon, straining device (Muslin Bag works best), a separate container to catch strained liquid, double boiler setup, silicon spatula, plastic syringes. Preparation Area: You must also be sure to have the proper ventilation(open windows/fan), as well as an electric stove (gas stoves are more dangerous with solvent), and a fire extinguisher. Step 2 (Grind): Place 1 ounce of extremely dry and ground up marijuana (sativa or indica) into a medium sized, Pyrex glass mixing bowl. Make sure you can spare a few inches above the marijuana grind, as liquid will be added soon. Step 3 (Dissolve): Add Everclear or another high proof alcohol solvent which will cover the marijuana in it’s entirety, with about an inch of additional solvent on top. Step 4 (Mix): Slowly mix the Everclear and marijuana together in the bowl for just about 3 minutes. Use a large wooden spoon/large fork to mix the marijuana with the solvent, allowing for the solvent to dissolve resin and oils from the herb. Step 5 (Strain): Delicately pour the marijuana solvent mix through a straining device e.g(muslin bag, grain, cheesecloth, Thai filter, steeping bag, etc) into a separate 2 quart mixing bowl or large bowl.The strained concoction should be dark with greenish undertones. Step 6 (Repeat): Place marijuana material back into original mixing bowl and repeat steps 2, 3, and 4 in order to remove all oil and resin from the marijuana a second time. Step 7 (Boil): Pour dark green mixture from both washes into the top of a double- boiler. Make sure that the bottom pot of the double-boiler is filled with water before turning on the heat. Step 8 (Evaporate): Begin heating the liquid on high setting until the top pot of the double boiler starts bubbling, then turn the heat off promptly.Allow the heat from the bath of water to heat the top pan until the Everclear or high proof alcohol solvent has evaporated. Once you see that the dark green mixture is bubbling, immediately turn off the heat. This process can take anywhere from 15-25 minutes. Step 9 (Almost Done): You are done when the liquid has become a thick green substance and no longer bubbles. If the liquid has ceased to bubble but is somewhat runny, you can turn the heat back on low until it starts bubbling again and you are satisfied with consistency. Step 10 (Cool Down): Use plastic syringes to draw up the remaining which will allow you to create individual portions for future medical use. The semi thick liquid will become thicker once it cools. Be sure to dry the left over oil in a cool, dry place. Take some good fresh uncut bud that has been dried. An ounce of high quality bud can yield you 3.6g of shatter provided you use about 12oz of butane and wash it twice. Place the bud in an extraction tube that is made of thick glass and is real clean. 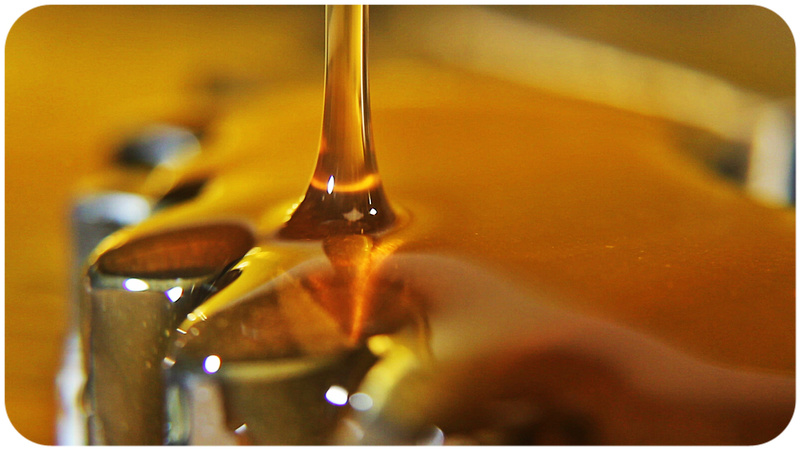 You don’t want excess contaminants in your batch that will degrade your dabs. 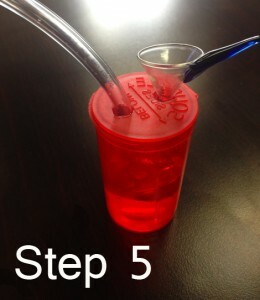 You want to also make sure that there are no air pockets inside the tube, and you can eliminate those by using a rod to neatly but not overly pack your bud. On other end of the extraction tube you want to drip your butane through it in a slow yet evenly paced manner. On the opposite end use/attach coffee filters so that the liquid which runs down will have to go through it. The drippings should fall onto a collection dish. Note that you should do the extraction process outside as there is a chance of explosions or bursts of fire if the butane is dripped too fast. Once your butane can is spent remove it and let the excess butane still in the tube make its way down through the filter and into your pan. Next is the evaporation part of the process. Your pan should be filled with this golden brown liquid. Take your collection dish and place it in a larger frying pan filled with hot water and your mixture should begin to bubble. Change the water as needed if it cools and don’t expose it to the hot water for a long time as your product will become dark and degraded. Once the oil stops bubbling you are done and can scrape the product and either smoke it or place them in glass vials. DISCLAIMER: This is just a guide laying out the steps to how shatter is made using butane. I am not recommending that any of you try this at home without proper equipment or experience because it could involve in injury as butane is highly flammable and can be explosive. This is an article meant to inform, not meant to inspire recreational weed smokers to screw around with butane and their leftover stash.